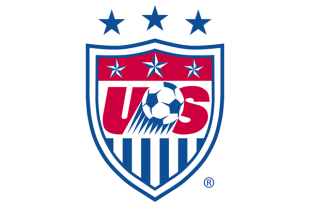 Legal analysis: Why is US Soccer suing the union representing the USWNT? Among the news items about formations of Canadian soccer leagues and big-name signings by the Philadelphia Union (okay…maybe not so much about that) we heard Wednesday afternoon that US Soccer, the national governing body for the game in the United States, had gone to court to sue the union representing the U.S. women’s national team. As the United States Soccer Federation indicates in the very first paragraph of its complaint (you can read the entire 217 page filing by clicking here), the lawsuit was filed because the new Executive Director of the United States Women’s National Soccer Team Players Association has stated that the union is entitled to repudiate the collective bargaining agreement between the parties at any time and, after the repudiation, take certain actions against the Federation–including, but not limited to, a strike. The USSF has filed suit seeking a declaratory judgment that the union has to honor the contract until its expiration date of December 31, 2016. The USSF believes that the union is threatening to strike in the near future, which would have the effect of scuttling both the Olympic qualification process and the National Women’s Soccer League season. The ability to withhold the labor of the Olympic team and NWSL’s biggest stars right before the start of the tournament and season would give the union maximum leverage to address whatever issues it believes needed to be addressed (although one would be forgiven for overlooking that, given the way the MLS union caved when holding similar optimum leverage). Thus, one can understand the union’s strategy (even if its Executive Director has since denied making such a threat). Anyway, with time of the essence, the USSF has taken the step to be proactive and seek a declaration from a court that a valid contract, with an enforceable no-strike clause, is in place, effectively prohibiting any job action by the women. Virtually every collective bargaining agreement contains a no-strike/no-lockout clause. What this means is that, during the term of the agreement, workers cannot strike to force the employer to accede to demands (such as resolving grievances or bringing a fired employee back to work), and the employer cannot lock employees out and stop paying them in an attempt to bring similar pressure. In return for such a clause, parties get to go to arbitration–a much more peaceful way to resolve disputes that arise midterm. If there’s a CBA the end of 2016, why the fuss? Ultimately, the gravamen of the dispute comes down to this: the USSF says there is an agreement in place until December 31, 2016. The union disagrees. Mind you, the union does not deny there is an agreement. Rather, it offers that, since the agreement does not have a stated end-date, it thus becomes terminable “at will,” at any time. Here is where things get fuzzy. The previous collective bargaining agreement between the parties was set to expire on December 31, 2012. The parties met to negotiate the terms of a successor agreement and–as often happens–negotiations extended beyond the expiration date of the contract with no strike or lockout taking place. Thus, the door is open for an argument that, while there may be an agreement, there is no “no strike” clause; or, alternatively, that the agreement can be revoked at any time, and any no-strike clause with it. So is there an agreement or not? This is what the court has to decide. The USSF has two points weighing pretty heavily in its favor. First, the union’s previous Executive Director–and lead negotiator–has testified in a matter involving the men’s team that there is a contract, and that it is in place until December 31, 2016. Second, the union itself in filings with the government that are required annually (and filed under threat of perjury) has acknowledged the existence of the agreement. As noted, the union does not deny there is an agreement. It has received payments pursuant to the terms of the MOU. Rather, its position is based primarily on the fact that (notwithstanding the presence of a clause indicating “4 years”) the MOU does not have a stated expiration date or definite means by which the MOU may be terminated. The union further argues that, under the law, CBAs of indefinite duration or ones that do not provide a manner of termination are terminable at will. As someone who makes a living representing labor unions, I applaud the aggressive and imaginative approach that the Association is pursuing here. Clearly, the union has decided that certain issues need to be addressed, and has just as clearly realized that being able to interfere with the Olympics or NWSL season gives it maximum leverage to address those issues. Given the callous way the USSF has treated the women–games on Astroturf of appalling quality spring immediately to mind–one can understand why the players are taking such an aggressive approach. Whether it is a successful one remains to be seen. It should be noted that national labor policy disfavors strikes, particularly where, as here, there is an agreement in place. With due respect, I think the union is overstating the breadth of the “no stated duration” rule, as that typically applies to CBAs with no stated term (or “perpetual” contracts). The MOU in this case says “4 years”–and a fair reading of the agreement would indicate the parties meant 4 years from the last CBA (i.e., the one that expired on December 31, 2012). In addition, the previous Executive Director has admitted under oath that the agreement runs to December 31, 2016. Finally, the union has derived the benefits of the MOU, so it is likely a court will decide that the USSF should be able to enjoy its end of the bargain: labor peace until December 31, 2016. On the other hand, national labor law also prohibits the issuance of injunctions in labor disputes unless certain strict criteria are met. One of them, of course, is the existence of a no-strike clause. However, the burden remains on the Federation to prove its existence–and, as you’ve already no doubt gathered, this is far from a clean case. Typically, these things get worked out on the courthouse steps. The union will likely gain some concession as a result of its brinkmanship, and the USSF can enjoy an uninterrupted Olympics. If not, though, this is a dangerous game for both sides. Collective bargaining is founded on trust–and, while I applaud the aggressiveness of the union, it does seem to be undercutting the word allegedly given by its prior Executive Director. The union may win this battle, but will likely bring on a greater war as the USSF will not forget being “taken,” and will want to exact some form of (lawful) retribution. In any event, if there’s no settlement, one can expect the court will move quickly, and we should get a determination in a few weeks. Author: Steve Holroyd Philadelphia labor attorney and soccer coach, player, sabermetrician and historian. Intermittent host of The Front Row podcast. Follow him on Twitter at @soccermavn. Thanks for the insight. I read an article on another site earlier (I know my first mistake, ha!) an just didn’t get it. Thanks for breaking it down in easy to understand language. Very informative article. Much better than anything I’ve read elsewhere on the current USSF-USWNT dispute. Thanks for taking the time to share with us your understanding of the legal details. You are one of the great benefits of this site. Thanks again for a great explanation. Nice summary, and it points to the type of legal oversight that could bite the employer here in the arse. The absence of the continuation language is important, and likely was not accidentally withdrawn by prior counsel for the union. That being said, I am interested in seeing how successful the union is in getting concessions for things like pay and expense equity, field and other working condition equity. No reason for the women to be receiving different treatment for their more successful program than the men. Revenue differences should be less of an issue with such a successful program. Thanks, Steve. Talk about a different language even in ‘layman-ing’ some of this stuff… me thinks I’m grateful for folks like yourself, Steve, who lawyers the lawyer stuff. In your opinion, does the USWNT have any legal recourse against USSF for releasing their personal information? No. The addresses were “released” because USSF attached a public document–the union’s LM-2 report–to the complaint. If anything, the union should be faulted for its carelessness. But I don’t see any liability either way. After all, even with the complaint redacted, folks can still pull up the LM-2 from the DOL website (I suspect the union will file an amended, address-free one soon). I don’t understand the claims (both here and elsewhere) that the Player’s Union has a lot of “leverage.” As far as I can tell the only leverage the Union has is to make USSoccer look like a bunch of callous, sexist pigs which would gain the Player’s Union no material advantage, and which may ultimately reflect badly on the USWNT’s image. Not to mention, the people who could be persuaded to think poorly of USSoccer’s treatment of the women’s team have probably already been persuaded by the Aloha Bowl incident amongst other shenanigans. The players could boycott the She Believes Tournament, and make USSoccer sweat the possibility of an Olympics Boycott. However, if anyone genuinely thinks that the players would actually boycott the Olympics, then I would posit that said person is delusional (unless their argument is that the women’s players are the ones who are delusional). The top American women’s soccer players NEED the Olympics. Without it, not only do they lose their big bonuses… They lose both their club AND national team salaries. They lose their visibility (which would really hurt the vanity of a small handful of the more outspoken players). They also would lose a lot of their personal sponsors. Not to mention that the strike could potentially kill the NWSL. Would the NWSL still play the season if the USWNT players refused to honor their USSoccer club contracts? Would fans show up if the best players didn’t play? Even if the USWNT players do honor their club contracts while refusing to play for the national team (which could put them in legal jeopardy), the lack of Olympics related exposure would hurt the NWSL. If the NWSL does end up having to cancel its season, then the NWSL will end up just as dead as the WUSA and WPS before it. A professional league that only averages 5000 fans can’t just take a year off and hope to survive. You could argue that all of these things are also disincentives for USSoccer as well, but their livelihoods and public image (not the quality of their public image which is already low amongst soccer fans, but the actual existence of any public image whatsoever) aren’t at stake in a strike. Hopefully, the disincentives will be strong enough that both sides can work out a solution without a strike, be it by the end of February or the end of December. The stakes are just too damn high for them not to. Steve, you may enjoy writing about 1920’s soccer, but you explain the legal side so well. Thanks for taking the time. Good job as always.